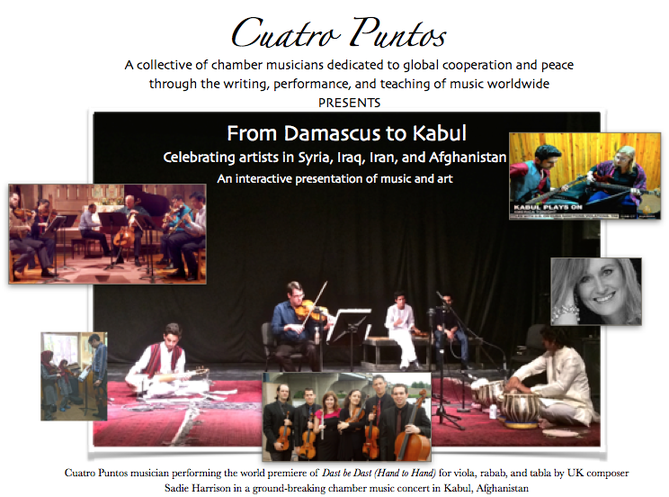 Inspiration for From Damascus to Kabul began when members of Cuatro Puntos visited young musicians who are making music within a war zone in Afghanistan. They saw firsthand how artists in the region are often unjustly silenced, and how their voices need to be heard, especially in the Western world. Part of the trip to Afghanistan included the world premiere of “Dast be Dast” (Hand to Hand) by UK composer Sadie Harrison. A few months after this ground breaking performance in Kabul, the very same auditorium was the site of a bombing during a similar concert by students at the Afghanistan National Institute of Music. This senseless act of violence prompted Sadie Harrison to write a second piece for Cuatro Puntos. Gulistan-e Nur, Persian for “The Rosegarden of Light,” for string sextet and accompanying student ensemble will be premiered on this program. It is dedicated to those injured and lost in this bombing, as well as those students in Afghanistan who continue to make music in the face violence and adversity. The rest of the program will feature music by composers from the region. 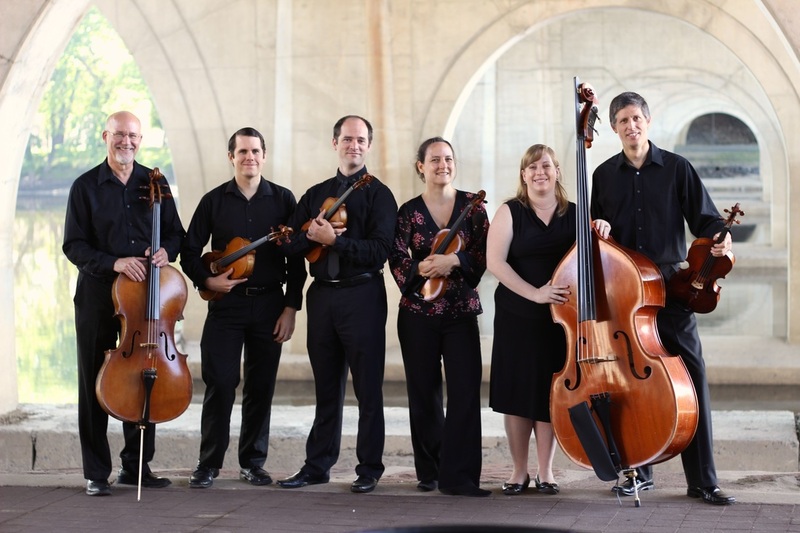 This project is being performed live throughout the United States and Europe in 2015-2016. It will also become part of an album titled "The Rosegarden of Light," which will feature over 40 students from the Afghanistan National Institute of Music performing with the musicians of Cuatro Puntos.